Previously known as Ceylon, the land of tea and coffee, coconuts and cinnamon, Sri Lanka is one of the most reliable surf destinations in the Indian Ocean. Add to that the friendly locals, palm-fringed beaches and rich cultural heritage, and you have an easily accessible tropical surfing paradise! Beginners will find plenty of surf schools in Sri Lanka to learn the basics, while more experienced surfers are bound to have fun exploring the uncrowded line-ups and off-the-radar breaks to the south of the island. With two distinct surf seasons for each side of the island, Sri Lanka is a year-round surfing destination that deserves a place of honor on your bucket list. 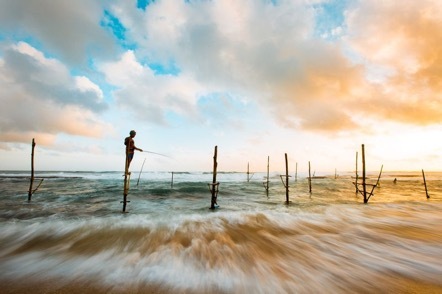 Boasting a great choice of waves and the highest biodiversity density in Asia, Sri Lanka is fantastic as a budget and family-friendly destination. Non-surfers will be thrilled to learn that they can practice yoga, visit ancient Buddhist ruins and tea plantations, as well as go on exciting safaris in sunny Sri Lanka. The food in Sri Lanka is simply delicious. And cheap! Think of fresh fruits and vegetables, fish and seafood, tea and coffee; what else could you ask for? To give you a better picture of how impressive this small teardrop-shaped island south of India really is, you should know that ancient Persians and Arabs called it Serendib, which is the origin of the English word ‘serendipity.’ Having recovered from two major modern catastrophes – the 2004 tsunami and a civil war that tore up the country for 26 years until 2009 – Sri Lanka couldn’t be any safer to travel. Between November and April, the west coast receives morning offshore winds, producing clean waves. 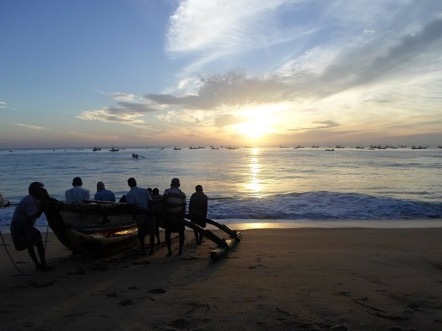 This is also the dry season in Sri Lanka, with low chances of precipitation and plenty of sunshine. The south coast benefits from whichever swell hits the west and east coast, which means that the surf spots on the southern tip of the island rarely go flat. 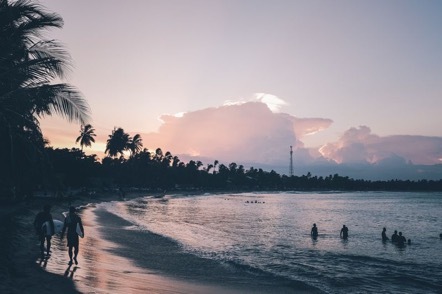 Furthermore, the south coast of Sri Lanka is blessed with 330+ days of sunshine per year and water temperatures that average around 81ºF (27 ºC) all year. These two popular breaks at Midigama are as mellow as they sound and, therefore, excellent for beginners and intermediate surfers. However, when big swells kick in, they offer something for advanced riders too. Lazy Left and Lazy Right sit opposite of each other in the bay at Midigama. Both are gentle point breaks, the left-hander offering some long rides of up to 500 meters (1,600 ft) on its good days. The breaks are longboard friendly and work best at low tide. You will also find some cool kitesurfing conditions in the bay. There is another right-hand reef break at Midigama that is more suitable for experienced surfers, which goes by the name of Rams. This powerful A-frame wave breaks over a shallow and sharp coral, has a fast take-off and offers quite a long ride. For beginners, Weligama is a go-to spot all year round. Located in the Matara District in southern Sri Lanka, it is considered the best beginner beach on the island and can be surfed even when it’s small. Weligama can be translated into ‘sandy village.’ When the conditions are just right, it can offer some long rides on right and left beach breaks that even first-timers can tackle. Being such a popular spot, it can get crowded at times. If you wish to escape the crowds, head down the beach in the direction of Mirissa where the surf gets slightly bigger. 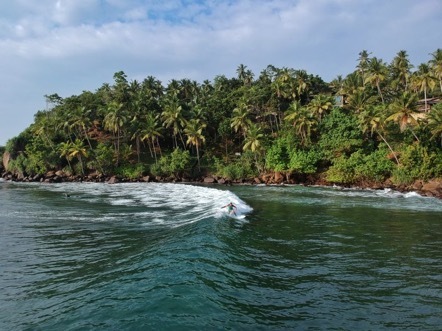 In the Southern Province, a couple of kilometers east of Weligama, Mirissa is a picturesque bay with a mellow right-hand reef break that is suitable for all levels. Still considered a hidden gem, crowds are not a problem at Mirissa. The area also offers whale watching opportunities and the chance to surf with dolphins. The surfing capital of Sri Lanka’s southwest coast, Hikkaduwa is a small town in the Galle District towards the southern tip of the island. This is the most developed surfing town on the island – there are cafes and bars on the strip, surf schools, and rental shops, while the coral attracts divers and snorkelers. Regardless of the season, the waves at Hikkaduwa rarely go flat. 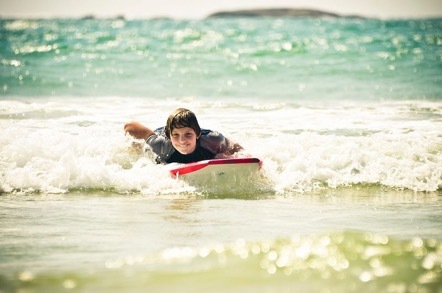 The A-frame break here is ideal for beginners, as it breaks over sand-filled reefs. Those looking for bigger waves will not be disappointed either, as the break can handle large swells too. One of the most visited beaches in Sri Lanka, Unawatuna Bay is home to a left-hand reef break that is more suitable for experienced surfers as well as a shallow beach break with a sandy bottom for beginners. The waves here rarely exceed 4ft (1.2 meters), and a longboard would be the best option. On the south coast of the island, only 5 km (3 miles) from Galle towards Midigama, Unawatuna is an excellent destination for a family surf vacation. The beach also offers great snorkeling sites, dive schools and kitesurfing opportunities. Between May and October, the east coast gets constant swell, especially around Arugam Bay. Traveling to the east coast during these months will keep you dry and away from the monsoon season, while at the same time guaranteeing consistent surfing conditions. 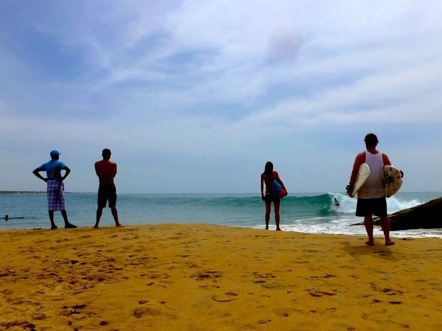 Sri Lanka’s surfing mecca, Arugam Bay on the east coast is often compared to Kuta in Bali. The tuna fishing port and the seven quaint villages in the moon-shaped bay have a laid-back vibe and are perhaps the most traveler and surf-friendly place on the island. The right-hand point break with consistently small peelers is suitable for all levels between April and October. Considered the best wave in Sri Lanka, it breaks over a reef and offers several fast sections and some incredibly long rides, just perfect for longboarding. A few hours south of Arugam Bay, a safari in Yala National Park is a must-do on your rest days – you’ll see herds of elephants, leopards, sloth bears, buffaloes, crocodiles, and birds. Located 4 km (2.5 miles) south of the main break at Arugam Bay, Elephant Rock can be a technical wave; when it’s working, that is. This right-hand point break has two sections – one for beginners and one for more advanced surfers. Despite the considerable number of surf schools, this one remains a far less crowded surf spot on the east coast. South of Arugam Bay, this small hamlet in the Eastern Province is home to a right-hand point break that is more suitable for experienced surfers. The main break at Okanda is completely exposed, which makes it technical and wild. Steep and fast waves with occasional barreling sections hit the shore. Beginners can still have fun at Okanda, as the large rocks to the north of the bay provide some protection and make way for a shallow sandy bay with more mellow waves. North of Arugam Bay, Pottuvil Point is a right point break, small but hollow, that is more suitable for experienced surfers. This is one of the best right-handers on the island but, unfortunately, it only tends to work in August and September, when it offers incredibly long rides of over 800 meters (0.5 miles). There are multiple take-off points, which means that crowds are rarely an issue. A semi-secret surf spot within easy reach from Arugam Bay, Peanut Farm is a right-hand point break with two sections: Main Point and Baby Point. Main Point is a technical wave with a fast take-off and barreling sections and, therefore, recommended for more experienced surfers. Baby Point is the continuation, mellower and more suitable for beginners. If you’re lucky, you might see these two connect and catch a long and exciting ride that simply cannot get any better! Octavia is a travel writer for BookSurfCamps.com. She is a passionate mountaineer, rock climber and adventure addict who feels just as comfortable high on the rocks as she does deep down in the sea. Special thanks to Rocio from On & Beyond The Surfboard, a community for water sports lovers for suggesting this topic for December!